We stopped by earlier this week during another evening of Combined Gender Forums, this time Cadets from the class of 2017 were in attendance. In the 2015/2016 Academic Year, all classes are receiving a completely new discussion experience. 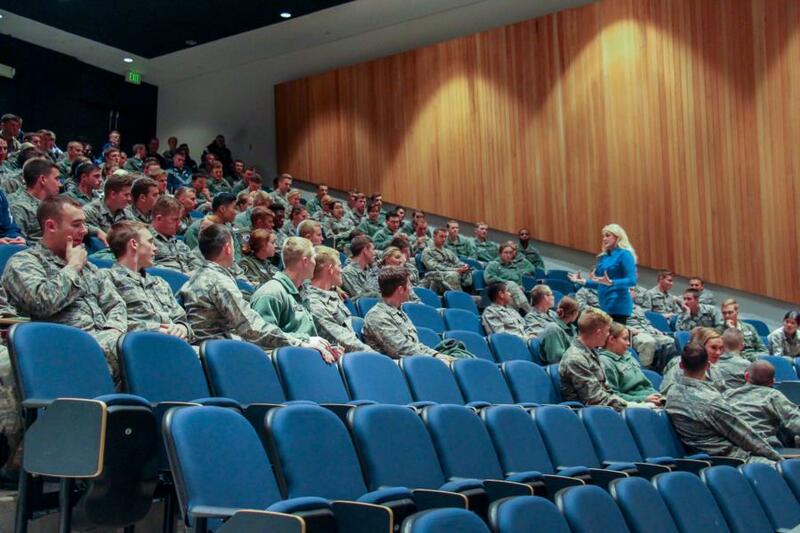 This program is the evolution of Women’s Forum in place at USAFA since about 2005. 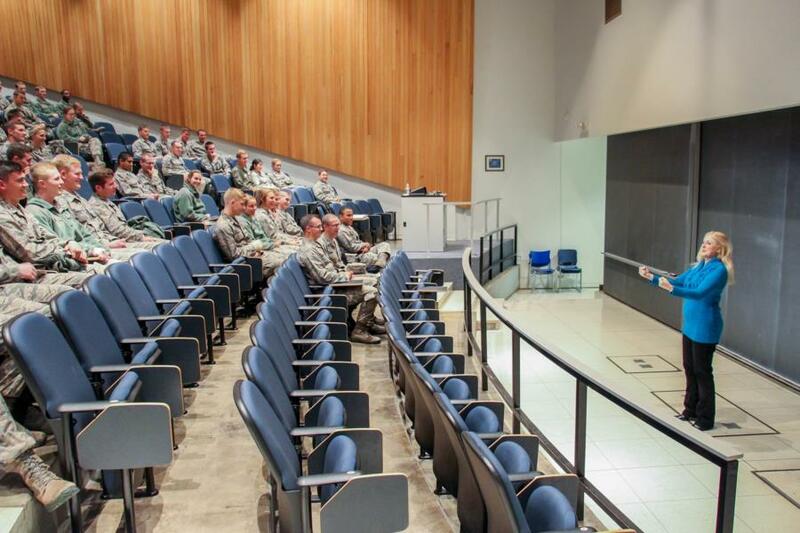 This new “Gender Forum” program is an inclusive experience for both men and women to have frank and open discussions on challenging topics that cadets will face as future Air Force leaders. - Women’s issues cannot be addressed only by women. Men as still the majority in the military and are critical in addressing women’s issues. - Men have gender. Women are not the only ones with gender. Men need the time and space to address, examine, learn, and share issues that are unique to them. - As military leaders we all need to understand gender and how it impacts us, our biases, our strengths. Understanding others and having empathy for those around us make us better leaders. Each class had a unique execution of Gender Forums, but this year the Second class cadets have potentially the most exciting experience. They had the opportunity to choose one of 7 discussion topics this week and on Tuesday evening it was "Men, Women, and Money: Personal Finance for Personal Wealth and Success, with Dr. Mary Kelly." During their discussion the following questions were asked to the Cadets which led to in depth discussions between them and Dr. Kelly. - What you need to know so you never argue about money with your partner. - Why men and women invest differently and who makes more. - Why men and women SHOULD invest differently. - How to take advantage of money available only to military people. - Creating a system to create wealth. - Learn to live well and retire comfortably. To view the rest of the pictures taken during the Combined Gender Forum go to, Galleries - Military Training - Character and Leadership Development. Or click the link below.